Kits is a beautiful place with a lot of beautiful people. Shopping on West 4th or hanging out at the beach are the amazing benefits we enjoy for living in such a vibrant community. Is there something holding you back from being more social? Discovering your community? For many of us, it’s our smile. It’s so common in fact that one of the number one issues we’re asked to address is an overbite. If you’re searching for a dentist in Kits who provides Invisalign treatments, it’s best to first learn about your overbite and what corrective treatment you’re best suited for. There are two basic types of overbite: dental and skeletal. Skeletal means that your jaw bone is the primary cause of your overbite while dental means that your teeth are the main cause of your overbite. Consult your dentist at La Vita Dental Centre to determine the type of overbite you have and what your course of action should be. Whether you’re self-conscious because of your lisp or whether you’re suffering from jaw pain, consult your dentist about the benefits of Invisalign. If you’re wondering what caused your overbite in the first place, there are a number of factors that could have contributed to it. This includes how you grew up. If you sucked on your thumb or on a pacifier for an extended period of time, it may have adversely affected the development of your jaw bone and teeth. Poor habits including nail biting could have also contributed to your overbite. Skeletal overbites often are hereditary. Examining the causes of your overbite may help you discourage your child from forming bad habits and avoid needing braces; however, many people in Kits come in asking about whether Invisalign is an adult alternative to braces. As mentioned, corrective treatment is determined on a case-by-case basis. We understand that after years of having an overbite you may be suffering from both psychological and physical problems. Some of the most common issues that an overbite contributes to are: being self-conscious about your appearance, speaking with a speech impediment, issues with eating/chewing, pain in your jaw, deteriorating tooth enamel leading to gum disease and cavities, or soft tissue damage on the roof of your mouth stemming from the scraping of your bottom teeth. 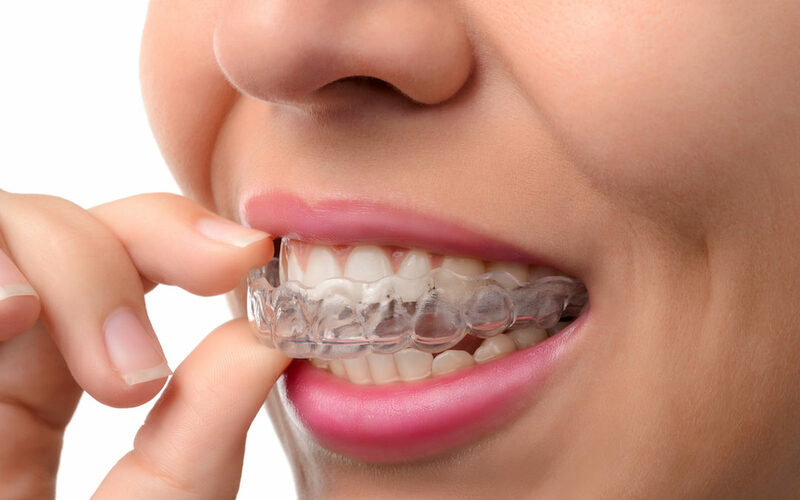 Invisalign is very popular because it’s transparent and removable. While it must be worn at least 22 hours a day for about 12 months, it is far less conspicuous than braces. If Invisalign is not an option for your overbite, other treatment options include braces, tooth extraction, or corrective jaw surgery. It can’t be overstated that Invisalign is not a treatment option for every case of adult overbites. To find out more about corrective treatments, contact La Vita Dental Centre and schedule an appointment with Kits’ preferred Invisalign dentists.